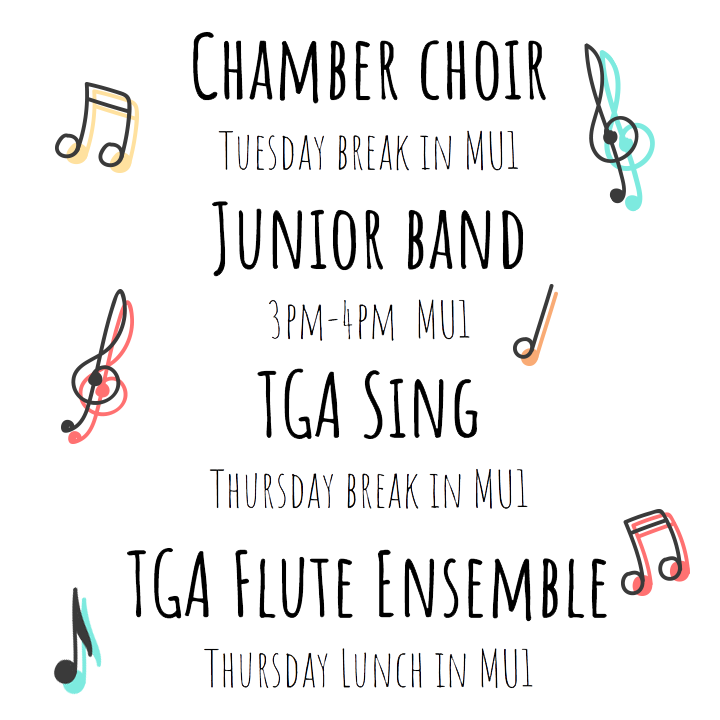 The Music Department are running several extracurricular clubs during the week including Chamber Choir, Junior BAnd, TGA Sing and TGA Flute Ensemble. There will be CFPs on offer for every practice attended. 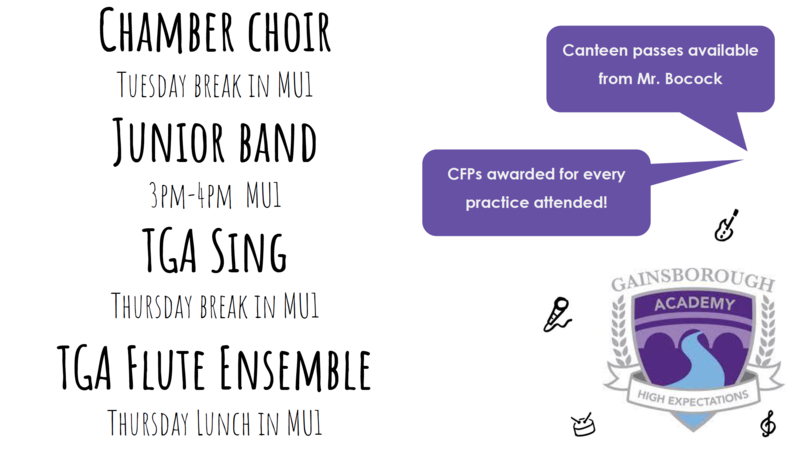 If you are joining us on a dinner time, canteen passes are also available from Mr Bocock. For more information, please see Mr Bocock.